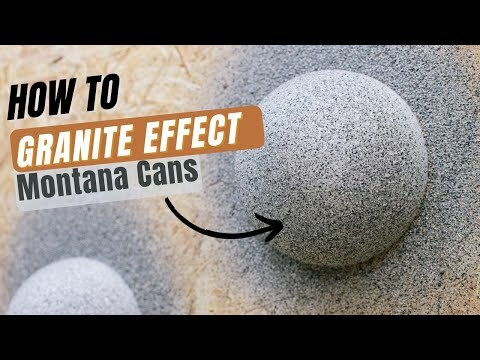 Montana bring you the Granite Effect Spray Paint, this really does what it says on the tin, the end result is a Granite Effect that will amaze you. It is super easy to apply, all you need to do is watch the tutorial video and the rest is child's play. We recommend you prime the area first to achieve the best result, either use the Montana PRIMER or to get a real professional result we suggest that you go for the Montana Texture spray, it does really add a dimension of realism to the finished project. Also worth noting, is you can apply a coat of Montana VARNISH to seal the project and give it a real longevity.